Here, are 4 best Windows 8 apps selected from the week ending July 29th, 2012. Well, our weekly featured post saves you time of opening each of our article and read the reviews separately and then finally decide about which app to install. Here, you can read the reviews of some of the best applications in a short period of time. Let me quickly point down the name of each Windows 8 app — Slacker Radio, Yellow Pages, Calc4Win, and eWallet. Specially designed for Windows 8 app, Slacker Radio is an online radio player that lets you play songs without getting off from your desktop screen. Along with playing music, this Windows 8 app also keeps you abreast with all the latest news related to music. This radio app for Windows 8 has been synced with Twitter networking. This lets you remain updated with Twitter feeds as well. 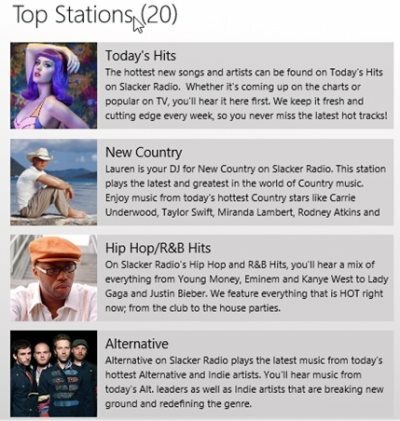 Read more about Slacker Radio or simply download it from Windows 8 store. Another excellent utility app for Windows 8, the leader of all local searches Yellow Pages, is now available as a Metro app in Windows 8 store. You can find local nearby shoppe for automobile, florist, restaurant, insurance, doctor, gas station, and the like. You can enter a location to find the nearby places, track search history of the app, search according to the category, or find you current location. 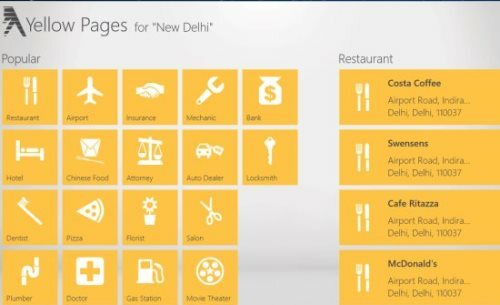 Read more about Yellow Pages for Windows 8. 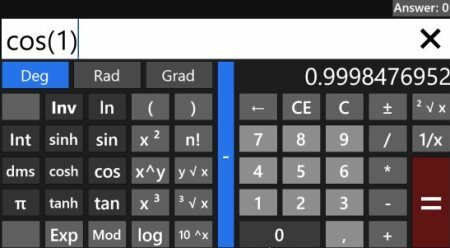 A good utility powerful app for Windows 8, Calc4Win brings you to access not only the regular calculator but also the scientific calculator to help you solve toughest of the tough calculations. The good part is that the app displays the answer while typing the math terms. You do not require to press enter key or = button to get the answer displayed. The description of each function found over the app has been liked to Wikipedia page to help you understand the function properly. extract more info about Calc4Win Windows 8 Calculator app or simply install it from the store. 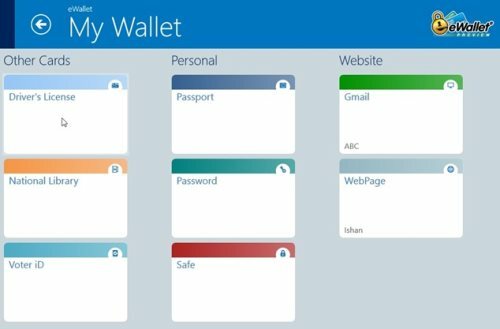 eWallet is yet another utility Windows 8 password storage app that lets you store all your passwords you have on other different websites. Well, along with passwords, you can also store username, PINs, card numbers, and the like. eWallet keeps all your confidential info secure and relaxes you from memorizing each and every password or number stressful. You can read our entire post on eWallet to get more info about the app else just install it from the Windows 8 app store.